Parature enables organizations to take advantage of an extendable knowledge base available through self-service portals on the Web and Facebook, support ticketing and mobile customer care on virtually any device the customer chooses to use. They offers social customer support, something for which they the past year where awarded the 2013 Frost & Sullivan Customer Value Enhancement Award, and also support via chat for both traditional customer service scenarios, and proactive sales engagement to create new, possibly revenue-generating opportunities for businesses. Parature has a well-earned reputation as a provider of cloud-based customer service software to midsize and enterprise organizations. They are currently providing their customer service solution to more then 70 million end-users worldwide through more than 500 well-known brands, including Ask.com, the United States Environmental Protection Agency, IBM, Saba Software Inc., Tagged Inc. and Threadless. 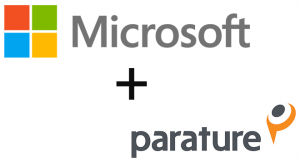 Microsoft will continue to offer Parature solutions and support all new and existing customers as the company works to further enhance these offerings. Next Next post: Philips introduce the world’s first LED replacement for fluorescent tubes that requires no rewiring.